Work for Square for Retail? Learning about Square for Retail? "Square for my small functional fitness gym, in Southern Oregon." I like the simplicity, the consistency..and the connection points that are so easy to send to: myself, my accountant, my clients, other programs. It links directly to my tax programs. I also like that it's usable across so many devices. It's user face looks exactly the same across all of them. This makes a huge difference when utilizing technology...especially when I'm always in a crunch for time and extra hands. I don't like how much it costs per credit card transaction. I believe it should be cheaper to store cards and auto-run, as it assures business. I lose more to store cards. It's almost better for me to ask people to pay in cash on the regular. The only other thing that I don't like it some of it's busy-ness in the stats areas. They are headed in the right direction...everything updates and they're listening to their customer base. It's simply convenient that I could set up the program overnight...or even in a few minutes. I appreciate the user interface, it's intuitive. It's also simply enough or my clients to pay and utilize. I really appreciate that they took a survey about improvement of software. With that improvement inquisition, they then changed their invoicing systems and it's currently more convenient. The improvement was allowing us to make one time invoices--into recurring invoices. This was both my suggestion and has made such a difference in convenience of use! "Easy back-up credit card processor "
Using the square reader and digital app is incredibly easy, simple, and efficient. Sign up and set up are explained step-by-step, and you can have your technology working in minutes. The reader is always ready to work, connects directly to an iPhone, and is easy for all levels of employees to understand! There are very few flaws with this system, and is ideal for smaller businesses! Honestly - there’s not much wrong with Square for small businesses. The only downside we’d ever had is that the adapter works through the microphone port on a cell phone, so with new iPhones you have to use a dongle to adapt to the lighting port. This is really an apple issue rather than an issue with Square! When considering your needs and the pros and cons of going without a traditional processor, Square comes out on top. You’ll have to have a mobile device (iPad, iPhone or other tablet) to operate - but it’s very convenient and reliable. 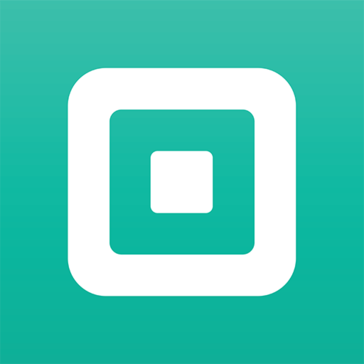 I use Square as a back-up processor for our normal credit card terminals and processing. It’s is a reliable source when machines have issues, the internet or phone lines are down, or you need a mobile card processing unit! You can transport Square with you anywhere - taking your business outside and on the go! It is super user friendly - my church has used the product for selling different products at events and it has been super helpful. It makes taking payments extremely easy at events where we cannot use a computer. Many people do not carry around cash today so it makes your company or organization modern and helpful. The only part from what I seen is the price to use the product. The product works extremely well so I really didn't see or have many issues with it. Maybe if more people start to use it the price will start to come down. I have also heard of people not liking the transaction fee associated with using it. This is a great product if you are trying to find a way to take payments at events where computer access is limited. It is professional and definitely gets the job done so I highly recommend it. It is a little pricey to use but it is worth the money in my opinion. Professionalism is highly valued with customers and this will make you feel professional. We use square space as a solution to speeding up purchases at events and make it professional and safe. It's simple design makes it user-friendly for customers as well as us using the product. IIt also is great bc it produces a receipt for customers to send to their email. t's a great solution to be professional in any setting. "Great service for our business, perfect backup as well"
It is a great solution for us when our main service is not functioning correctly. We use it as a backup only. We do remote retail sales either at hospitals, offices, or shows and it is great to be able to take this with us and process payments. We are very happy with the functionality. We do get a better rate through our current merchant solution though. I think that the swipe should work better it is difficult to get it to take the card if it is not held perfectly level when swiping it. It is a great solution for us when on the go or for backup. I used to use it a lot when I did shows outdoors or hospital retail shows and it worked great. People also recognize the name and like it better than PayPal here in our experience. It helps us when we have down time and need to have a backup solution. It also works for us on the go at our shows. The user management is easy for employees and the administration. "Easy and efficient point of sale"
I like the ease of use with the Square system. We operate it off a tablet system so the touch screen makes it very easy for everyone to use. The tablet also makes it easy for us to bring it to our clients and ring up their sale on the sales floor, as well as have them sign for their credit card. No large bulky system required. Storing customer information has been helpful also in regards to emailing/texting their receipts to them. There isn't much that I dislike, but perhaps the lack of instruction that came with it. Fortunately, it is easy enough that it doesn't require much in the way of instruction. Entering multiple SKUs can be incredibly time-consuming without scanning capabilities. It has helped us track our customers, keep up with shopping trends within our store and expedite the check out process. "Reliable and simple to use for POS"
I like that they have their own hardware or you can use standalone. The software can easily customized and tailored to your specific needs, simple easy to use screen makes transactions simple. I also really appreciate the option to email or text the receipt. This allows for everything to be green and sustainable. Also, the plug in for my electronics is so small and portable. This is a huge plus. We run a small at home business and Square is the best tool for point of sale transactions and easy to produce receipts, invoices, and track user/buyer details. I can send a text receipt and email if needed. Definitely worth the purchase since the app can track all transactions. You should try it out. It's very simple to use and train new employees on. Reports are easy to run and can get most data that you need. Allows you to communicate with customers. They are continuing evolving and adding new features. "Square: Easy, Streamlined and Affordable""
Utilizing Square is amazingly simple, straightforward, and proficient. It is totally exceptional to have the capacity to email and content receipts for clients naturally. The installment apparatuses and items are totally intended for profitable quick deals with Visa and essentially any variant or card structure is acknowledged. Extremely protected, quick and simple with results you'll be happy with. Other than, the usefulness and POS UI it's incredibly basic. Square is extraordinary! Our deals have expanded utilizing this administration. It's anything but difficult to utilize and set up. We utilize Square for Retail in monitoring any stock inconsistencies. Simple to acknowledge card installments anyplace whenever with highlight rich versatile/convenient application. Square Retail is our purpose of offer and spares us time. "Best Overall Payment Tool For Any Business"
I love the unique software and it is completely unique to be able to email and text receipts for customers automatically. The payment tools and products are completely designed for productive fast sales by credit card and virtually any version or card form is accepted. Very safe, fast and easy with results you'll be satisfied with. I don't like the processing fees that they offer. It is a bit higher but I think that you pay for the sheer convenience of the product and easy setup and service. It is the #1 credit card system for businesses of any size and as a starter tool that you can depend on for years to come. Once you get over the fact that the fee is a small percentage higher, you will see that the extra money is going directly to the service that they offer and provide. Clearly a company headed in the right direction and you can count on their exceptional approach to a solution that will give your business peace of mind. It solved our card processing issue and it was a sound solution for our business. We love the ease of use and customer service is always friendly and helpful. The new age technique with style is a great approach. "Such a great way to work with others and to easy buy and sell with cards!!" I find that using Square for Retail helps out A LOT when you are selling at art fairs, street markets, and even when buying and selling between friends/coworkers! I have used it many time when I would sell my homemade baked goods and homemade sewn blankets! The one thing I didn’t quite like about Square for Retail is that with any new type of technology, as a customer, it seems a little shady at first because you have that fear that the card scanner has been swapped out with a bad one. However, with my multi-use experience of being on both ends of the swiping I have never encountered that. I use Square for Retail when I am selling at art fairs or buying at street fairs and even working with a kayaking company whom use Square for their own services. The benefits that Square has is that it is so simple and easy to handle!! The ability to use from anywhere, intuitive user interface, ease of customer use. I REALLY like how intuitive for the customer once you hand over the device, and that you have the option for terminal POS, mobile, web browser, or even emailing invoices. The time it takes for the helpdesk to process requests (and how thoroughly they read the requests) could be improved pretty substantially. Other than, the functionality and POS user interface is stunningly simple. Dive in! It's great and familiar to your clients. Easily exports into all major bookkeeping softwares. Very hands-off! I love that the rate of the fee charged to Square is low, for my low-income business. My business also has a lot of clients who are in a hurry and it allows me to bill them later (just after they leave) or prepay before they even bring me their dogS! This product is perfect for the entrepreneur on the go! I've used in shop settings as well as farmers markets and conventions. the fact that it's a simple insert into the phone is astounding. There isn't much to dislike, however ,if i had to choose, it would be the software interface. I think it could be more user friendly. More idiot proof to be precise. It's quite simple to use. Just follow the directions and keep a charger close by if you're using it out at markets or conventions. Mainly payments on the go. We live in a day and age where people rather pay with plastic than cash... in fact very few people carry more than $5 with them at a time. With square, you can transform a smart phone into a portable point of sales system. You can even go paperless with the texted receipts! I am able to accept credit cards on the go for minimal cost. The cost of using the service is a bit high. This makes me not want to use the service unless absolutely necessary. Keep the reader with you. You never know when you will need to complete a transaction. Since it is relatively inexpensive and always available if you have your phone, you win. For really large transactions, I would recommend finding a cheaper alternative if you can. The rates are low, but can add up very quickly. I am able to accept credit cards on the go. It requires minimal effort and minimal set up. The software application is increasingly annoying to add menu items and the fees are OUTRAGEOUS. Whatever happened to trying to get your business off the ground... these guys will put you out of business. RUN FOR THE HILLS! LITERALLY! Problems? Goodness where to start? Square is a terrible retail solution. The kiosks are over priced and poorly managed iPads that cannot be customized or changed. Wastes my money and customers. No benefits to this solution! GO CLOVER! "Square: intuitive, reliable, and the obvious choice." Square is intuitive for pretty much everyone on our team. Not much necessary in the neighborhood of training/review sessions. Some glitches here and there, but honestly nothing that we haven't been able to handle. Also annoying that we had to buy another device in order to read credit card chips, but I think that's less of a Square problem and more of a credit card problem. One instance of a erroneous flagged transaction that caused some difficulty on our end. Definitely do your research about how to get in touch with the Square team, and we ready to jump through some hoops in case a transaction gets flagged erroneously. Otherwise it's super easy. Less transaction fees means we make more, ease of use means we waste less time training, etc. Not as many people like to walk around with cash in their pocket. Using the Square makes everything simple. As long as the phone or tablet has internet access, it is a great item to use. Lack of internet access was a big factor while using the square. If you're in an area where there is either no reception or no internet at all, there is no point in bringing the Square. If you are just starting out in retail or are selling things at different events, this is the perfect solution to have card transactions. We like to go to outdoor events and sell products. It makes shopping so much easier for customers when they don't need to worry about finding an ATM. "Great for processing sales on the go!" We have a standard POS system but take the Square with us when we attend events outside of our showroom. The Square has proved its value due to the ease of taking payments and obtaining customer information. We have found no qualms with the Square other than being able to synch with our POS system. It's great for allowing you to expand your business to new customers are festivals and other off-site event locations. Square has helped open our business up to sales that take place outside of our showrooms and at events where we can introduce ourselves to new customers. We have been able to "expand" our showroom thanks to Square. Square for Retail works better than any other credit software I've tried. It is easy to set up and the fees are low enough to keep my business accepting cards. I like how I can use it to track my receivables as well as my payables and customer transactions. There is really nothing to dislike about Square right now. Everything is running smoothly. Square is easy to use, easy to set up, the fees are cheap and worth every penny. The customer service team is always available to answer any questions that I might have regarding purchases, voids and returns. It works on time every time and my customers enjoy knowing their payments are being processed by a secure and reputable company. Having a one-stop resource for all credit cards is perfect for us. There's no need to constantly work with banks to try and renegotiate rates, saving us time and money. Keeping track of what I receive in helps resolve any inventory discrepancies I have faced as well. "decent alternative for retail payment collection system"
I like the set up was easy, somethings I did not feel comfortable to provide at the time of set up and gave me the option to do later. The dashboard is every easy to navigate around on. nothing so far that I can see that I dislike, I am still learning about it as well. It looks to be a better alternative to all the other online payment systems that I have reviewed / trialed. alternatives for customers to pay for the merchandise that they order online from my site. Square has changed the game for so many retail and personal businesses. The equipment needed to accept card payments is far too expensive for most smaller businesses but Square is affordable and SUPER easy to use. It can take a few attempts to get the card to go through for certain users but very rarely. If you want to accept card payments without having to punch numbers or pay for expensive software this is your go-to. Easy to accept card payments anywhere anytime. Mobile businesses and small businesses benefit greatly. "Ease of use. Phenomenal product." Use Square daily in the store I manage. Extremely easy to use. Customers are familiar and comfortable with it. Extremely easy to do so many necessary tasks. Streamlined software for multiple tasks takes a lot of guesswork out. I can do so much through my dashboard. Very, very easy to setup and use! Process credit cards, checks and cash with one system. Square for Retail offers the best rates for credit card processing. Volunteering for a local PTA, we decided on Square for Retail after trying other different packages. We use Square for all of our fundraising finctions. We love the portability and the fact that it works with all of our cell phones. "I love Square for Retail! " I love using square for retail. It makes everything so easy for me… I can send invoices to my customers another state I can use my card reader and sell stuff at vendor events. It just makes things so easy. At solve the issue with me not being in the same place as some of my customers. Therefore I benefit from it because I can sell to anyone anywhere. "Love Squares Newest Software for Retail"
If you have a ton of product SKUs setting up the initial system can take a bunch of time. App is easy to use on the phone and on the Ipad. The dip chip reader makes it even more presentable to customers. It's professional! I wish I could split the online store from my physical location. processing rate is low! And you can save with referrals! "Best foe Small Businesses and Stores"
I love that Square is very user friendly and easily portable. I have used in it numerous businesses that I have worked for, most recently for an event business. Depending on the internet connection, sometimes it can be slow. But with a great internet connection, that is not a problem. Ease of use and function. Portable for business on the go! I really like how convenient it is not only for myself but customers as well! Invoicing and paying is now no longer a hassle! Refunds are sent right away so your customer has no wait time in these cases! Nothing at all! Square is an amazing service ! Ease of payment transactions ! "Quick and on the go"
I love how convenient it is for me to use. All I do is connect it to my phone. If my clients don't have cash, its saves the time for me and the drive for them. Funds are readily available. I wish it was easier to speak with one account rep. Although it does save time which is amazing, I would consider researching newer, available options for processing mobile payments. Did get a little expensive for me however, when I did use, it worked wonders! It's saves time! Especially for business freelancers and entrepreneurs. The new User Interface is great. The products top features in my opionion include the ease of use for employees and customers. Additional work is needed before Square Retail is an end to end solution for Inventory Management. The Inventory Management system does not have bar code capabilities for creating purchase orders or receiving Inventory. In addition the reporting features appear to be pretty basic with the initial release. Square Retail is our point of sale. "Works when you have nothing else, but isn't very reliable"
Gives you a way to process payment in unique environments and/or when your main operating system is down. Is a PAIN to use. I feel like I have to swipe a person's card a million times before it actually works because the dang thing is so sensitive. Only use when desperate, when on the road. It's not super reliable - you'll end up swiping a million times before the payment actually processes. Solving being able to process payments in unique and/or nomadic environments. It makes transferring funds quick and easy during transactions. I find the square device easy to lose, but this could be a personal problem. The major benefits is how easy it is to swipe a credit or debit card for business transactions. I like the variability in POS. I have used their cash register and phone attachment! Square for retail is one of the best POS apps. It’s quick, efficient, and customers are pleased with how they can easily make a transaction. It is a little difficult for those that are not tech savvy. Training on this POS system for those that aren’t tech savvy takes time and patience. It’s a smart decision for your business to handle this kind of transaction. Being able to easily make a card transaction quickly has improved our customer relations. I absolutely love it. Quick and convenient payment and processing. Nothing at all that I dislike. I'm very satisfied with the layout and details. Have not had many issues other than system crashing from time to time. "Love the ease of Square"
"Convenience for start up/small businesses"
Convenience in my at home business. Small, every easy to connect on the go. Ability to accept card payments for my home based business during gender events. Quick and easy to use. Very convenient and user friendly. A larger customer base. The younger generation does not tend to carry cash and checks. "Awesome to be square "
"Made my retail and inventory system smoother"
I liked the fact that it kept count of my current product needs. When I needed to order, I could see clearly what I needed. It doesn't integrate with my website. I no longer use it as my current site has integrated retail inventory. It keeps supply in a steady state for clients. It is very easy to use and customers trust Square. I'm charged higher fees for a manual input. Square is great! My sales have increased since offering this service. It's very easy to use and set up. Customers spend more because they know they can purchase using a credit card. Sales have increased because of this. "GREAT APP, EASY TO USE FOR ALL EMPLOYEES"
We've used this only really when there is internet down, or during festivals. It isn't our first POS option for our customers to pay. Nothing really, its super easy. Fast setup too! We've had to use it in emergencies for sales. We love it and have considered using full time! "Square is easy to use!" User friendly and fast - I like that i can open it up and know what i'm doing right away with no tutorial. It's slow to respond sometimes and the bluetooth functionality doesn't always work. I like square for businesses. Small businesses can use to keep card using customers. Also great for helping large line in businesses by using without register. Great idea just buy the credit card reader for your iPhone and use just downloaded the app. Finding my employer was a 24 hour process need to be added to there acount. A no cash quick sell and a happy customer that prefers credit card. Difficult to organize products with mobile, it's easier on a larger format like tablet. On site sales during small pop-ups and shows. Not much, ther merch fees were a little high for the owner. * We monitor all Square for Retail reviews to prevent fraudulent reviews and keep review quality high. We do not post reviews by company employees or direct competitors. Validated reviews require the user to submit a screenshot of the product containing their user ID, in order to verify a user is an actual user of the product. Hi there! 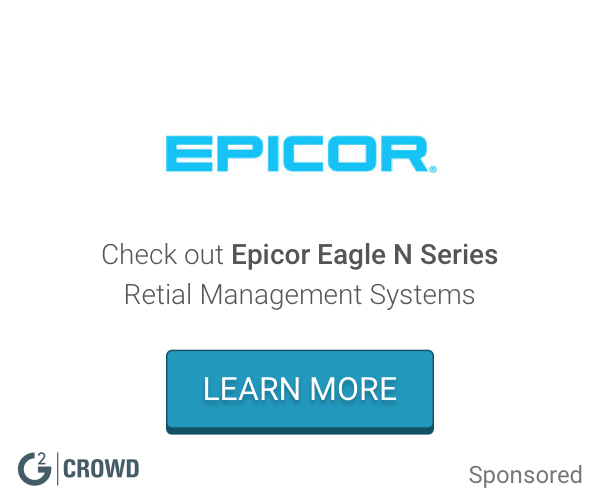 Are you looking to implement a solution like Square for Retail?